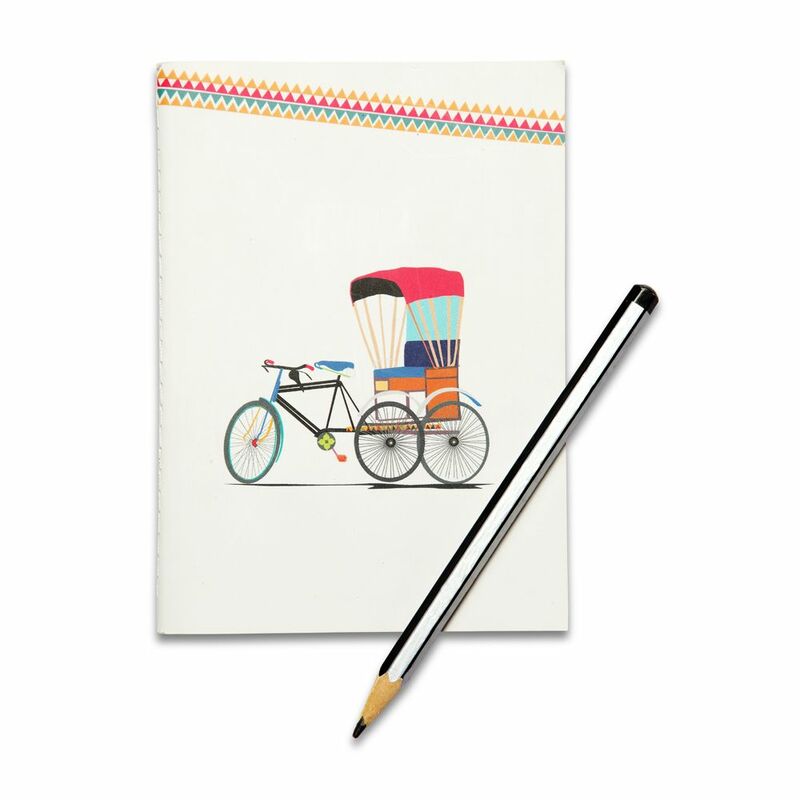 This Notebook depicts the cycle rickshaw, which was one the most commonly-used mode of transports in India at one point of time. 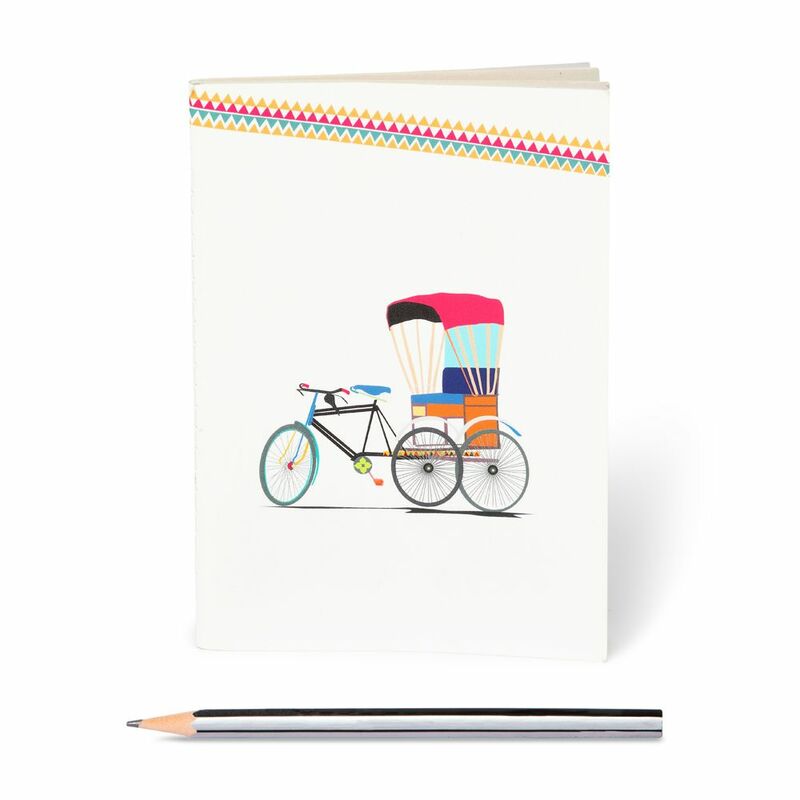 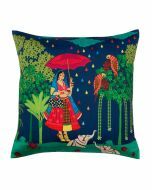 The back of the notebook has yet another colourful cycle rickshaw. Each softbound notebook has 100 unruled pages.